The Chamber of Commerce of Bogotá (CCB), representing 650,000 businesses and merchants of Bogota and the Region congratulated the President of the Republic, Juan Manuel Santos Calderon, for the Nobel Peace Prize 2016, a recognition for his conviction to seek an end to the armed conflict through negotiations and efforts to build peace in Colombia. The president of the CCB, Monica de Greiff, said: “This is a recognition of the world for the country, headed by President Santos, to the victims and a call to Colombians to move forward the peace agreement with commitment and generosity”.  The World Summit of the Nobel Peace Laureates, to be held in Bogotá between 2 and 5 February 2017, will be a unique space for reflection, dialogue and encounter where the Laureates will share their experiences and provide tools and visions for Colombia’s further progress on ending the armed conflict and turn the country into a land of peace and a global example. “This Nobel Peace Prize to President Juan Manuel Santos and the realization of the World Summit of Nobel Peace Laureates in our country, are two unprecedented events, we should inspire all Colombians to unite and reach agreements as soon as possible” said the president of the CCB. President Santos is the first Colombian to receive the Nobel Peace Prize and the sixth Latin American to win the award. The award ceremony will be held on December 10 in Oslo, Norway.